Qadura Fares , Director of the Palestinian Prisoner's Club. Q - The hunger strike by Palestinian political prisoners in Israeli jails is now in its fourth week. How many prisoners are currently on hunger strike and what are their demands? 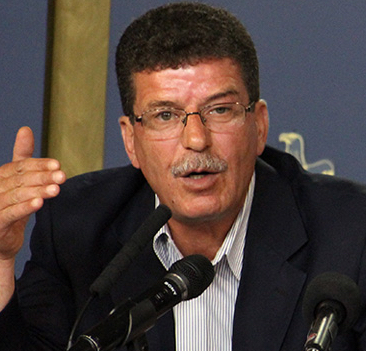 Qadura Fares - “It is difficult to say how many are on strike because we have been unable to visit the prisoners. However, according to the information that we have, 1,500 Palestinian political prisoners began the hunger strike. “Our demands are simple and have been met in the past: regular family visits, education and medical attention. These are international standards that Israel must be forced to adhere to. “On the issue of family visits, Israel adopted ‘emergency’ measures in 2001, preventing political prisoners from seeing their families Although the ‘emergency’ has passed, Palestinian political prisoners are still barred from regular family visits and are denied visits from anyone who isn’t an immediate family member, including grandchildren and grandparents. Israel also imprisons Palestinians in jails inside Israel, in violation of international law, which forbids the transfer of prisoners out of occupied lands. Since most Palestinians in the occupied territories are not allowed to enter Israel, they are denied the right to visit their loved ones who are imprisoned there. Add to this, the International Committee of the Red Cross decided in June of last year to cease, unilaterally, its oversight regarding family visits. 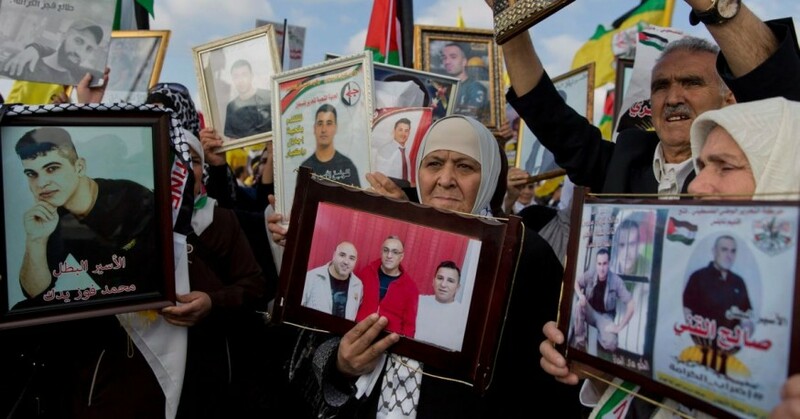 “As for medical issues, Palestinian political prisoners routinely face medical neglect. Often prisoners are misdiagnosed and are forced to endure long wait times for surgeries, including lifesaving surgeries and if surgery is provided, their hospital recovery time is shortened so as to ensure that the Israel Prison Service does not have to pay high medical bills. In short, prisoners are left to suffer. Q - Hunger strike leader Marwan Barghouti has been placed in solitary confinement as punishment and there are reports that Israel is considering bringing in foreign doctors to force feed prisoners after the Israel Medical Association advised its members not to assist with the practice because it’s cruel and inhumane. What are conditions like for the hunger strikers and are there concerns for their well-being? QF - “Today, the hunger-striking political prisoners are facing extremely difficult conditions, not only as a result of the strike but due to Israel’s actions to try to harm the hunger strikers. For example, Israel prison authorities routinely move hunger-striking prisoners, or subject them to extensive searches in an attempt to deplete their energy at a time when hunger strikers are trying to conserve their energy. They have also barred family visits at a time when strikers need support the most. “It is important to note that in the history of Palestinian hunger strikes, not a single hunger-striker died from striking but three Palestinian political prisoners were killed through force-feeding. Q - This isn’t the first time Palestinian political prisoners in Israeli jails have gone on hunger strike . Can you talk a little bit about the history of Palestinian prisoners and hunger strikes? QF - “Sadly, Palestinian political prisoners have frequently had to resort to hunger strikes to get their rights upheld. In fact, it is the only way that Palestinians can secure their rights. Israel has never, in the history of its occupation, granted political prisoners any rights – they have only been secured through hunger strikes. The hunger strikes first began in 1970 and continue to this day. It is only because of hunger strikes that we secured mattresses, pillows, pens, paper, radios and clocks. Our hunger strikes have also put an end to some of the most humiliating Israeli practices such as being forced to call a prison guard ‘sir’ twice before speaking or being sprayed with insecticide instead of providing prisoners with soap. And Israel wants to continue its humiliating tactics – whether night raids, stripping prisoners, collective punishment and subjecting families to degrading treatment. Q - The 50th anniversary of Israel’s military rule over Palestinians in the occupied territories is coming up in early June and the negotiations process is at a standstill due to the hardline policies of Israel’s extreme right-wing government. Over a half-century of repressive military rule, Israel has imprisoned more than 700,000 Palestinians, touching nearly every Palestinian family. 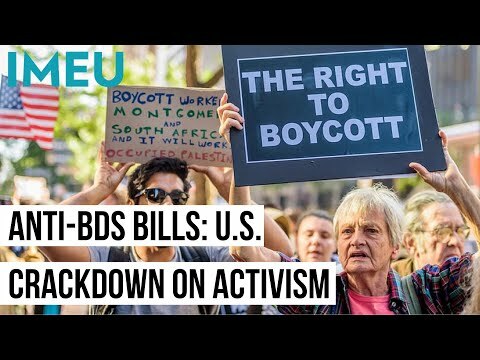 How are Palestinians in the occupied territories reacting to the strike, and how has the mass incarceration of Palestinians affected Palestinian families over the decades of occupation? QF - “We believe that more than 800,000 Palestinians have been incarcerated at one point during Israel’s occupation. This excludes, of course, our brothers and sisters inside Israel. Every Palestinian family understands incarceration and the inhuman treatment political prisoners are subjected to. “My mother, aged 87, asked me yesterday to take her to the solidarity tent in Ramallah so she could sit with the families of some of the prisoners in order to share her experience of what it was like for her when I was in prison. Q - What can supporters of Palestinian rights around the world do to show their support for the prisoners? QF - “There are many things that can be done. Solidarity protests can be organized in front of Israeli embassies around the world demanding that Israel abide by international law. The UN Secretary-General’s silence on this issue has been deafening and people should be demanding that he speak out and condemn Israel.